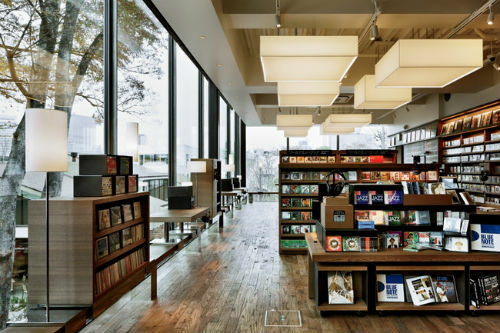 Tsutaya Books is known as a lifestyle bookstore in Japan. In spite of the slowdown in the publishing industry, Muneaki Masuda opened a bookstore named ’Tsutaya Books’ in Japan. It is not just a bookstore but a complex store that sells what customers want. It is called a ‘Culture Convenience Club’ or Multi Package Store. If you enter there, you can see that many people read books with a hot cup of coffee. Starting from Roppongi, the number of Tsutaya Books is increasing. Many people call the bookstore a ‘revolution caused by books’. The establisher looked into the fact that modern people still like reading books but they do not want to buy books for many reasons. To solve this problem, he decided to make a bookstore that sells ‘value’ to the customer rather than ‘just books’. This change of bookstore has caught customers’ and companies’ attention. Soon, this type of bookstore became famous and even Starbucks has suggested collaborating with them. One of the most famous Tsutaya Books is located in Daikanyama. The T-site garden at Daikanyama Tsutaya Books has a famous restaurant named Ivy Place, a trail that people can walk on with their pets and a comfortable indoor café. Furthermore, Daikanyama Tsutaya Books offers a special offline shopping experience to customers. Goods are classified according to the genre or content based upon the customers’ taste. To do this, it needs experts who have a lot of experience and knowledge. People call these experts, the ‘concierge’. Concierges introduce products or recommend goods and services that match customers’ needs. This system puts a smile on customers’ faces and people started to call Tsutaya Books a ‘bookstore that sells lifestyle’.